Microsoft CEO and Chief Legal Officer Brad Smith on Sunday issued a violent blog article, attacking the US government "hoarding" network weapons, for such extortion software to provide a convenient attack. "The loopholes in the hands of the government have leaked to the public domain and caused widespread damage," he said, "and this has happened many times, and if it is analogous to conventional weapons, it is like the US military part of the Tomahawk missiles." The Wanna Cry Serbian virus incident affecting the world has been around for a few days, and the virus has caused hundreds of thousands of computers worldwide to be used by hospitals, businesses and government departments. Smith said the US National Security Agency and the Central Intelligence Agency and other departments should announce the system vulnerabilities found in order to repair in a timely manner, rather than the loopholes as odd goods. Smith said in a blog: "This is a new phenomenon in 2017. We see WikiLeaks exposed CIA possession of the loopholes, and lead to the accident loopholes from the NSA, affecting the global users. History has repeatedly shown that The government 's vulnerability information has caused widespread damage after it flows to the public, analogous to traditional weapons, which is like some of the US military' s Tomahawk missiles. He also said: "Government departments should be considered, these vulnerabilities were stolen, was used to cause damage to civilians." 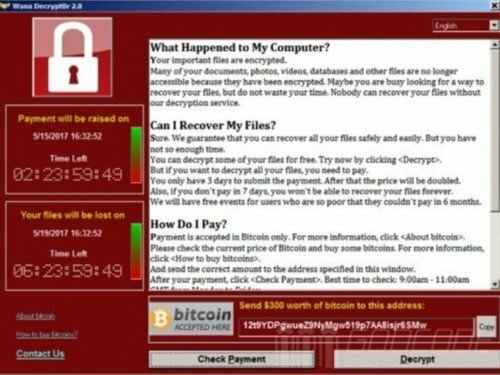 WannaCry virus allegedly used Microsoft to fix a Windows vulnerability in March of this year. Microsoft Saturday adopted a "very unusual measure", has been discontinued for technical support, older version of Windows released a patch to prevent the spread of the virus. This includes Windows XP, Windows 8, and Windows Server 2003. Smith said in a blog, the technology industry, customer companies and government departments need to better cooperate to protect users. He mentioned that Microsoft in February this year proposed the signing of the "Digital Geneva Convention", set the standard, to avoid civilians from the government's information security attacks. Smith also said that "information security has become a common responsibility of technology companies and customers." "The attack is a powerful reminder that the foundation of information technology, such as ensuring that the computer is patched in a timely manner and maintaining the latest status, is an important responsibility for all, and industry executives should support such initiatives." NSA leaker Edward Snowdon said Microsoft's words were "extraordinary". Snowdon was wanted by the United States for revealing thousands of confidential documents. "Until the weekend before the attack, Microsoft has refused to publicly acknowledge this," he wrote on Twitter. "The US government is reluctant to confirm or deny the loophole from their hands." Microsoft criticized the US authorities for the network attacks and national security approach, reminiscent of last year, Apple and the US Federal Bureau of Investigation - when the US law enforcement agencies trying to crack the manufacture of San Bernardino shooting terrorists iPhone. Apple was then opposed to the US government to let it write new software to help unlock the phone's order, saying that doing so will create a "back door", once it strayed into the hands of bad guys, will damage all iPhone users security and privacy. If you want to learn about the code, script then you can download that script of your work from this site and this is very interesting forum for the work of IT. You can also write my essay service to learn and understand about the code in the most efficientway.